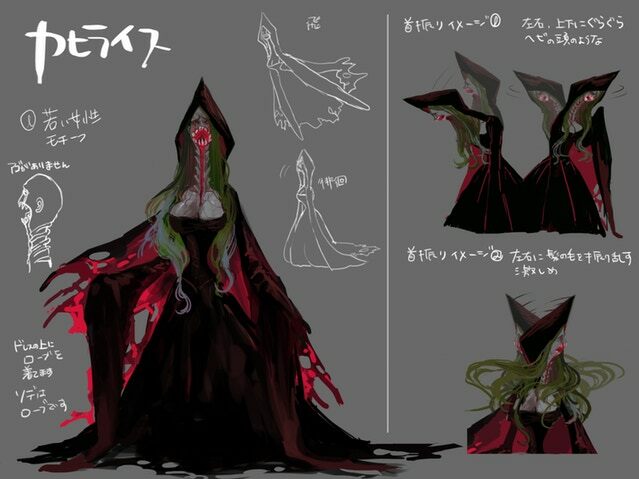 New enemy concept art revealed. Shantae developer WayForward has joined the Bloodstained: Ritual of the Night development team, publisher 505 Games announced. For this month’s update, we have an incredible support who will be joining the Bloodstained team. Can you guess who? It’s WayForward! That’s right, WayForward, the makers of Shantae! As you may already know, they are top-tier when it comes to side-scrolling action games. There is even a staff member who previously worked on one of my projects, which is incredibly encouraging. It’s a traditional gothic horror design, and I think it’s lovely. I was talking with the team just before writing this comment and, with WayForward’s help, they have been busy helping to improve the game and fix any bugs that pop up. Speaking of which, there’s a really tough one that’s making the game crash that needs to be fixed before the game reaches everyone, so we are scything through them all. Bloodstained: Ritual of the Night is due out for PlayStation 4, Xbox One, Switch, and PC in 2019.